Americans have racked up billions -- yes, billions -- of dollars worth of overdraft charges. All banks with assets over $1 billion must report how much money it brought in via bounced check and overdraft fees, according to CFPB. And this year the industry rang up at $11.41 billion. That's up 2.2% from 2015, which was the first year banks began reporting total overdraft and bounced check fees to the CFPB. Adding in its best guess for what smaller banks and credit unions charged, and CFPB says $15 billion is roughly the grand total. "Consumers living on the edge can find themselves racking up numerous overdraft charges," Cordray said. "Despite recent regulatory and industry changes, consumers with low account balances and little margin for error continue to pay significant overdraft fees." Richard Hunt, the head of the Consumer Bankers Association, a bank advocacy group, responded to the study on Friday. He said he looks "forward to working with the CFPB on this issue, and we appreciate their concern for providing consumers with clear disclosures." But Hunt said banks already provide customers with "clear, concise procedures for opting into overdraft services," and he pointed to a 2015 survey that found only 1% of respondents were confused by overdraft opt-in process. The Federal Reserve decided to crack down on the issue in 2010 by mandating that banks must receive a customer's explicit permission to approve a transaction when there are insufficient funds, and trigger overdraft fees. Otherwise, the transaction would simply be declined. He said customers that opt in and frequently overdraft "typically" wind up paying $450 per year in fees. A 2014 Pew study also found more than half of the people who overdrew their checking accounts in the past year didn't remember consenting to the overdraft service. To address that issue, the CFPB said Thursday that it's testing out a new version of the opt-in forms, which are designed to make the issue more clear for customers. The updated form is meant to "explain that the opt-in decision applies only to one-time debit card and ATM transactions and does not affect overdraft on checks and online bill payments," Cordray said. "They also are designed to make clear that debit card and ATM overdraft is entirely optional," he added. 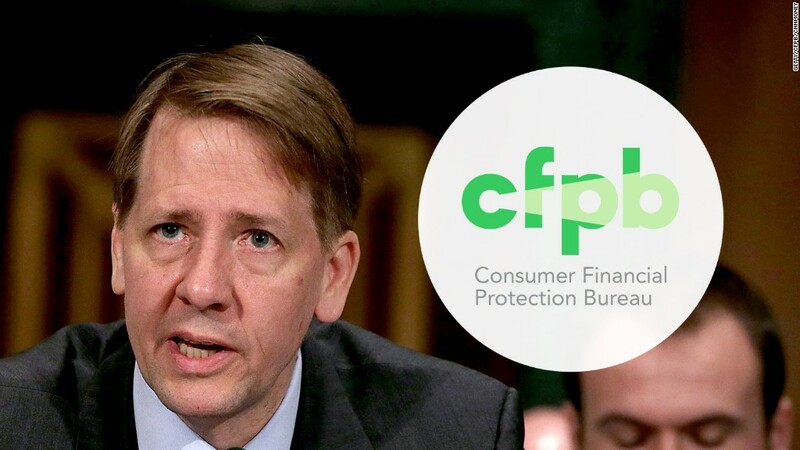 Despite the agency's concern, Cordray said the CFPB is not planning to propose stricter rules for banks when it comes to overdraft fees.